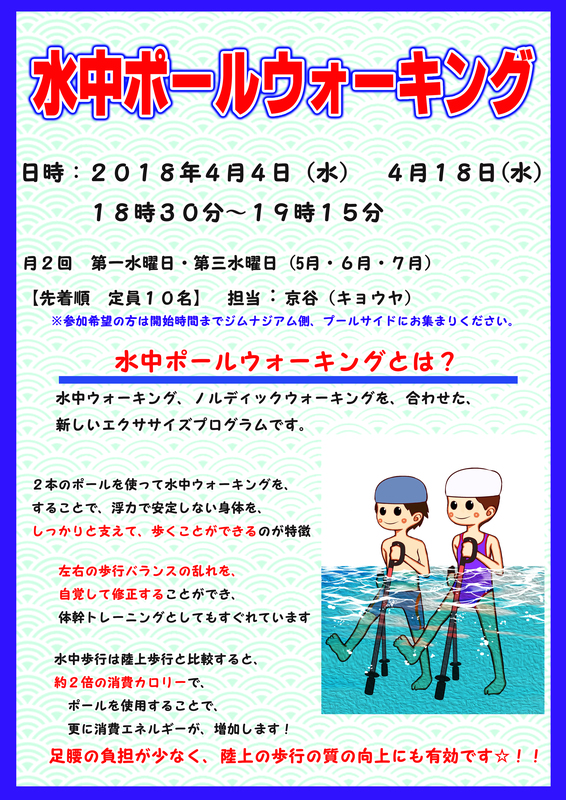 The expiration date of your pass card, coupons, and the membership of Undou-kai will be extended for the period of closure (May 25-30). Please check this poster for the details. The construction of the gymnasium is now completed. All courts will be available from tomorrow morning (Feb 24), but will not be available for 25 and 26 (arena closed). The stairs on the hospital side will be closed for construction work from February 12 to March 31, 2015. The swimming pool will be closed for annual cleaning from December 21 to December 24. 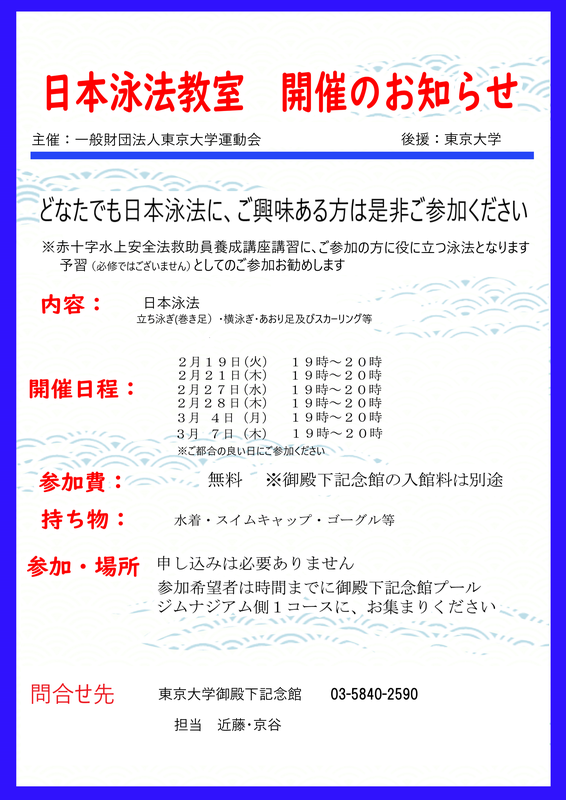 ・【URGENT】【IMPORTANT】Gymnasium Will Be Unavailable Due To Earthquake-Resistant Repair Work. For details, please read the following notice. Click here. We appreciate your cooperation and understanding in this matter. Regarding the provisional closing period of Gotenshita Arena. Click here. ・【Notice】 The close days of Gotenshita Arena will be extended till July 19th due to further specific inspection and repair of the facilities. 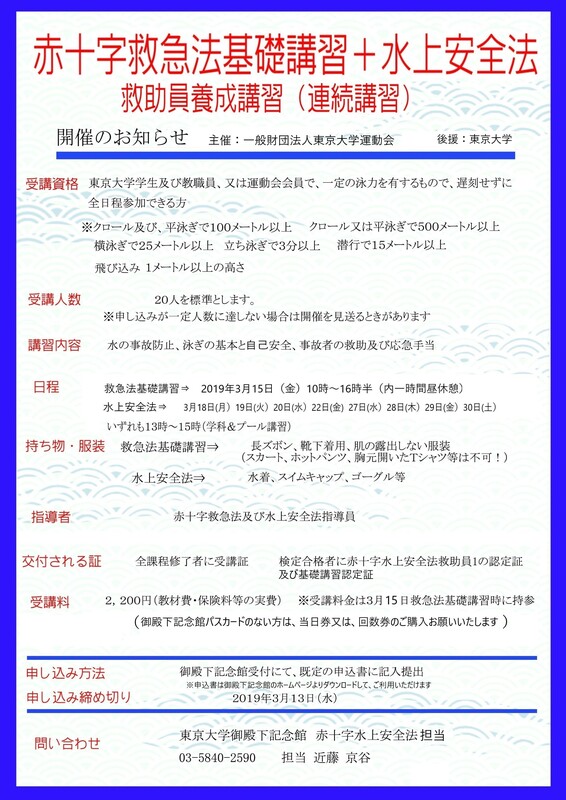 ・【Notice】 The reservation of all orientations held in Gotenshita have been temporarily stopped. It will be started again when the reopen date is set. ・【Notice】Gotenshita Arena will be closed due to the inspection of the facilities till at least June 21. But, Gotenshita ground can be used. The renewal procedure of training gym registration has started. Please renew your gym wristband during April. Old wristband won't be used after May 1st. Now, the operation will be restricted as listed below. 1)The lighting of Gotenshita Arena will be reduced by half in order to save the electricity consumption. 2)Sauna bath cannot be used.